“My beloved children, I, Jesus, today bless ye again and give ye My Peace. I come today to call ye to be the always scented, illuminated and holy altars of My Sacred Heart, where My Heart truly can reign and perform Its marvels of love in your souls. 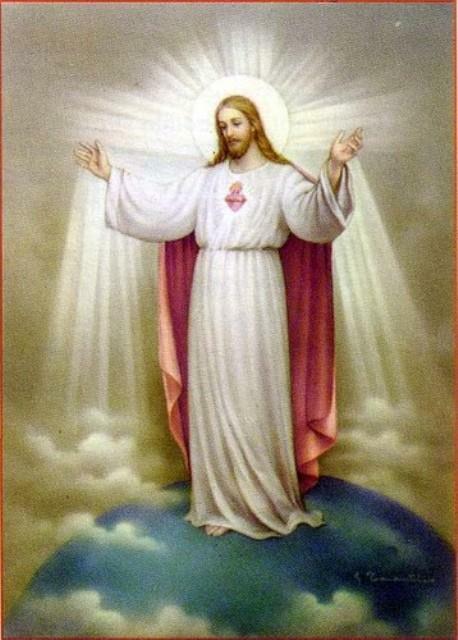 Be the altars of My Sacred Heart, always perfumed by the virtues ofKINDNESS, of PURITY, of LOVE, of TEMPERANCE, ofGENEROSITY, of HUMILITY, so that My Sacred Heart comes to rest in your heart, can find many flowers of the most varied virtues to delight in them. Thus also, your heart, exuding the most gentle perfume of all the virtues, can, by My Grace, spread itself to other souls for the entire world, transforming My altars, destroyed by My enemy’s action and by sin and reduced to ruins, in newly perfumed, beautiful and pure altars to thus substitute the stench of sin that engulfed so many of My altars and in them once again put back the gentle perfume of holiness and of virtues. Be the altars of My Sacred Heart. Altars always illuminated by the light of prayer, of meditation, of the continuous search of My Word, of My Will, of the knowledge of Myself, so that then the light of your altars are not darkness but truly burning and luminous lamps that with their light, dissipate all the darkness and fill the world with the light of My Holy Spirit, with the light of the true knowledge of Myself that frees free the soul of all the darkness, of wickedness and ignorance and causes everyone to increasingly grow and arrive at salvation ,which I offer generously to everyone in My Sacred Heart. Be the altars of MY Heart, always beautiful and pure, always precious, adorned with the most varied precious stones of the Virtues and primarily of true charity and of love. If you are altars where the flame of true love, where the rubies of true love are present, then, My Heart will descend to your altar, to your soul, will enter in her, will live with you, will reign inside of ye, will fill your whole interior with the fire of My Divine Love until consuming you completely and giving birth to the new creature, the sanctified creature, the sanctified wife of the Divine Lamb, the ideal soul, the truly suitable soul of My Sacred Heart. I want to perform in ye this great work, but in many of ye, I see nothing more than ruins. The altars of your souls were stricken by the action of sin and of My enemy, the devil, that ye yourselves consented to enter in ye. How great is your decay. Your altars do not nestle more than scorpions and snakes, than sins, vice, falsehood and vileness. I come to put to flight, to oust these snakes and scorpions from ye and to restore the old beauty of the altar of your soul. I come to make it return once again to be as it was in Baptism, pure and to even further, take it to greater heights of holiness. For such, give Me your yes, let My grace truly enter in your soul, renew it, transform it, purify it and elevate it. Without your renunciation of sin, I can do nothing in ye. I cannot save your souls as much as I want to because I Myself instituted and decreed: THAT THE SOUL, TO SAVE ITSELF, HAS TO RENOUNCE SIN AND WANT GRACE. So, today, completely renounce yourselves, your corrupted will, all form of sin that offends Me and separates Me from ye forever, so then, I can truly perform My wonders in ye and make ye great saints. I love ye so much! I want ye so much and My love has already been proven and demonstrated to ye a thousand times here in My Apparitions with My Mother, with Saint Joseph, with the Angels and Saints and I do not tire to call ye back to My Sacred Heart. 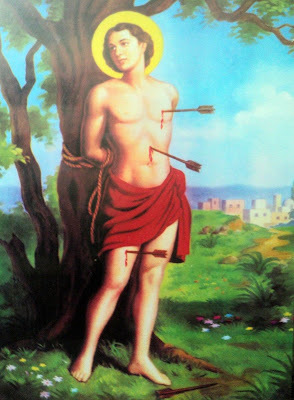 But hasten your conversion because soon My Heart will put an end to the Time of Mercy, to the term for the world’s conversion and then, I will cause My fire to fall by surprise upon your houses and upon the nations and woe to those who are will not be in the state of grace. I warn ye with antecedence so that nobody then throws in My face that I was unjust and did not warn anyone. I warn ye: THAT TRULY THE TIME IS RUNNING OUT AND YOU ARE PARALYZED IN THE ATTACHMENT TO YOUR SIN. RENOUNCE EVERYTHING AND EVERYTHING THAT IS OF HEAVEN WILL BE GIVEN TO YE.